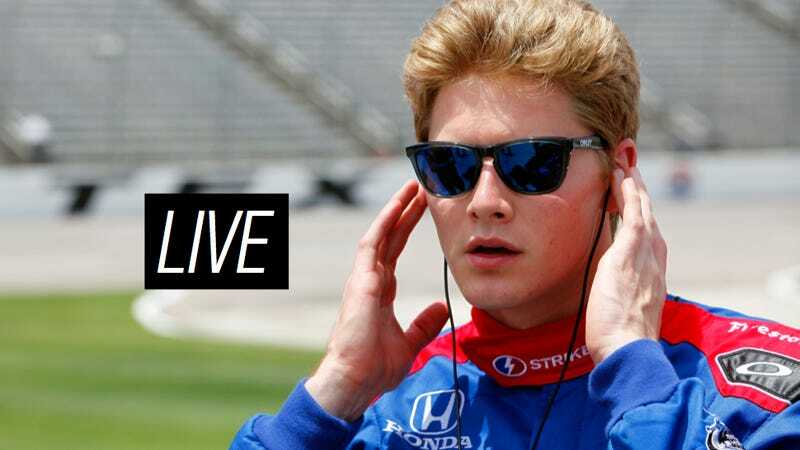 Josef Newgarden is the exact sort of driver that American race teams beg for: An affable young American with actual talent and credentials to back up what he says, not a dump truck full of cash to buy a ride. Josef is one of IndyCar's rising stars, and right now he's here to answer all your motorsports questions. Before he stops by tonight's Jalopnik Film Festival opening party, Josef is taking a little time to answer questions from you, the readers. So what do you need to know about Josef? Well, he's the only American to ever win the Kent event at Britain's famed Formula Ford Festival, he drives in IndyCars for Sarah Fisher (and for Ed Carpenter next year, who just merged his team with Fisher's), and has worked magic with a single car operation. It's tough not having a teammate to bounce info off of to hone your setups, which makes his performances all the more impressive. He's a frequent top six qualifier and is getting closer and closer to that first win, it just takes some time. But now, take some time and ask Josef anything about the state of the IndyCar series, motorsports in general, or, well, really anything about him. He'll be here starting at 2:30, but we figured we'd open questions up now for you, our lovely readers.